To a geologist, clay minerals are fine particles (< 2 µm in size) and are also major constituents of rocks, sediment and soils. To an engineer, ceramicist or mineralogist, clay minerals belong to the family of phyllosilicate (or sheet silicate) of minerals, which shows properties of plasticity, shrinkage, and hardening upon drying or firing. The types and characteristics of clay minerals depends on their origin of occurrences. Commonly clay minerals are formed over a long period of time by gradual chemical decomposition of feldspar, usually silicate-bearing by low concentration of carbonic acid and other diluted acidic or alkaline solvents. Clay minerals can be grouped into four main groups: kaolinite, illite, smectite and vermiculite. Clay and clay minerals have been used since the very beginning of civilization, and are also very important industrially. This is because of their abundant availability, inexpensiveness and unique properties. 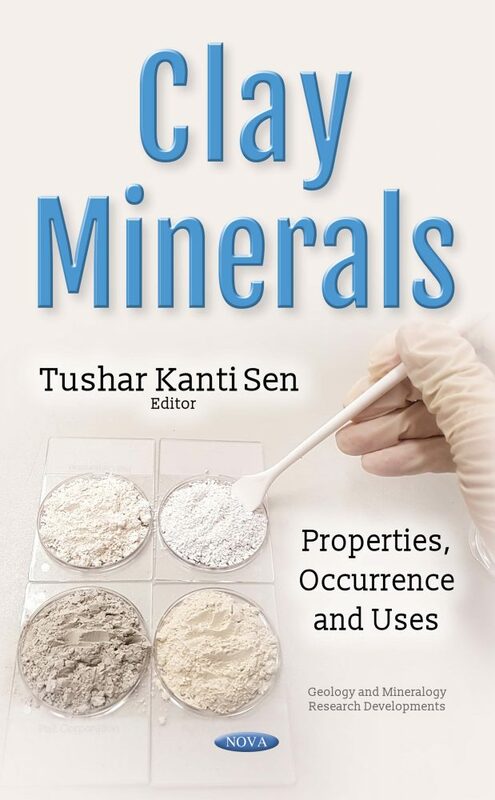 Considering its unique properties and vast applications, this book was written in order to provide various research results and compile up-to-date development on the current states of knowledge concerning clay mineral occurrences, types, properties and various uses. There are a total of eight chapters contributions by a significant number of expert authors around the world, covering topics such as, imparting functionality to clays, metakaolin based composite zeolite synthesis, rheological transport properties of kaolin-bentonite slurry solutions, clay minerals as adsorbents in water treatment, and metakaolin in building materials. This book will be useful to practicing engineers, scientists, researchers, academics, and undergraduate and post-graduate students interested in this specific area. This research book is useful for practicing engineers, scientists, researchers, academics and undergraduate, post-graduate student’s interest on this specific area.